As we age, stroke risk is increasing and becomes a serious threat. But don’t panic! You can take actions to dramatically reduce the stroke risk. 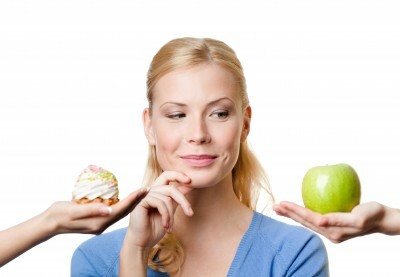 Controlling what you eat and being physically active are high on the list. They will help you feel healthier, too. In most cases living a healthier lifestyle reduces the need for medical treatment. Try your best to make healthy choices. Do not let stroke to stick you. Here they are the most important things you have to remember to live your life without stroke. • While choosing a meat make a choice of skinless chicken turkey fish and lean red meats. Do not fry, instead bake boil or broil. Do you know your BMI? Do you weigh more than you should? If you think you do, your body may be turning excess fat and cholesterol into plaque. Blood flow to your brain can be reduced by the plaques in your blood vessel. Extra weigh can also make working your heart harder, increasing your blood pressure. If you lose weight, you may reduce both risk factors at the same time. • Walk- it is one of the best forms of exercise. Try joining a mall- walkers club or take a walk during your lunchtime at work. • Swim or ride a bicycle. Do not have more than two alcoholic drinks a day if you are a man or have a one in case if you are a woman. Too much alcohol may rise up your blood’s cholesterol level. Drinking too much also increases blood pressure and adds calories to your diet. 5. Blood pressure – High blood pressure is the top risk factor for stroke. If you have high blood pressure, follow your doctor’s recommendation for lifestyle changes and medication. Many people with mildly high readings can lower them by simply altering the way they live, such as improving diet and increasing physical activity. Otherwise, stay on any medication your doctor prescribes. 6. Smoking – If you smoke quit. Smoking is a major preventable risk factor for stroke. The carbon monoxide and nicotine in cigarette smoke hurt the cardiovascular system by damaging and narrowing blood vessels and causing blood to clot. Quitting smoking is tough, but it is worth it. 7. Aspirin – It is proved by various studies that aspirin and other kinds of anti- platelet medications help people at a high risk of stroke to prevent an attack. By interfering with the blood’s ability to clot, aspirin can play an important role in prevention. Doctors recommend aspirin for people who have already suffered stroke. But remember! No one should start taking aspirin without first consulting a doctor. 8. Drink water – Many studies have found out that people who drink more than six glasses of water per day were half as likely to die from a stroke as those who do not. This is probably attributable to the actual fact that maintaining normal hydration keeps blood flowing well; dehydration will cause sluggish flow of blood and increase the danger of forming clots. Water is best when it the body needs to improve blood flow.